Oh yes, you heard it right! Its a healthy ice cream, free of any added sugar and its just made of a single ingredient which is banana. So, all you banana fans out there, its a must try. Temperatures have finally started improving here in Seattle and I was planning to try out some new frozen recipes to mellow down the heat. A bunch of bananas in the kitchen were staring in my face for a week and screaming to do something with them. And then this idea came out of no where to make ice cream out of them. And needless to say, it was Delicious! 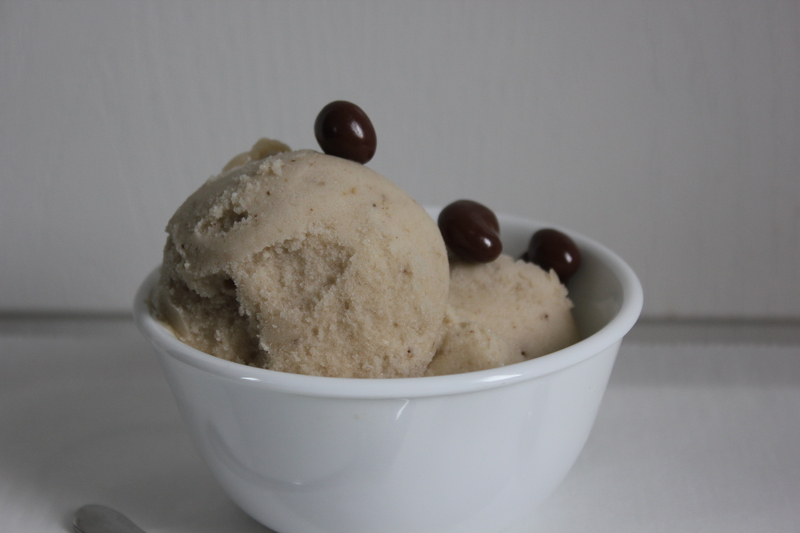 The coolest thing about this recipe is that it does not require any fancy ice cream maker, its totally guilt free and very quick to make. Bananas are available all throughout the year and are prepackaged with nutrition in their yellow jackets. Its a very high energy fruit and is very high in potassium and fiber. 1. Peel bananas and cut in thick slices. Place these slices somewhat apart from each other on a parchment paper placed on a cookie sheet. 2. Throw this cookie sheet in the freezer for a couple of hours. 3. Take the frozen banana slices out and thaw them at room temperature for 15-20 minutes. 4. Blend the frozen banana slices in a blender until you get a gooey, creamy paste like consistency. Sometimes, frozen banana have slightly bitter after taste, so be sure to add some honey, chocolate sauce or peanut butter. I added honey to my icecream. 5. Freeze again for 4-5 hours and enjoy as it is or with chocolate sauce. I garnished mine with store bought chocolate covered raisins. Please leave your comments and questions. I’ll be happy to hear.